Staton served one term in Congress from 1981 to 1983. The Parkersburg native lost a re-election bid to Democrat Bob Wise, who later became governor. Congressional records show Staton had been living in Inwood. He attended Concord College, now Concord University, and served eight years in the Army National Guard. 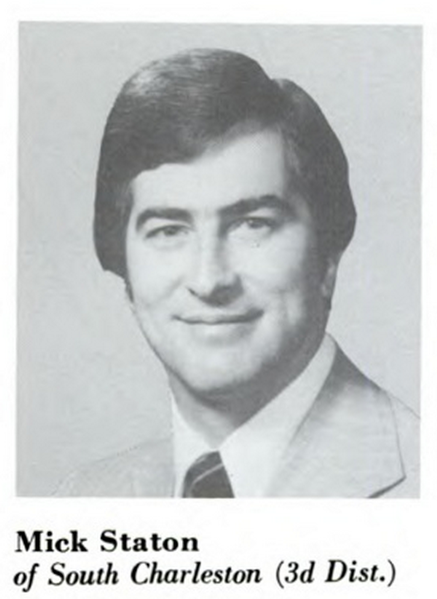 Staton attended multiple state GOP conventions and one Republican National Convention as a delegate. Staton served as vice president of Kanawha Valley Bank and as the U.S. Chamber of Commerce's chief political adviser.